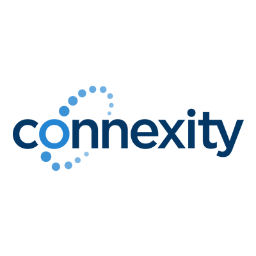 Connexity (formerly Shopzilla) is a marketing services and technology company that enables retailers and brands to understand consumers better, gain new customers, and increase overall sales through paid search, display media, customer insights and a CPC affiliate program. Bizrate is credited to be the first online consumer feedback and ratings platform. Since 1996 brands and retail stores that sign up to be listed on Bizrate are included in consumer searches on the site, where shoppers seek out products they want to buy, compare prices, and get store information, ratings and reviews. Bizrate connects shoppers with over a million products, brands, and stores. Bizrate Insights is a freemium shopper survey tool that enables retailers to collect and analyze a wide range of omni-channel marketing insights. Bizrate Insights can be easily embedded into any web or mobile site, even included as a URL on store sales receipts. A comprehensive, easy-to-understand dashboard displays a visual chart for Key Performance Indicators (KPIs), customer satisfaction with shopping experiences in-store and online, impressions and suggestions for product mix, ease of check-out and payment, and much more. Connexity’s Cost Per Click (CPC) Network helps retailers of all sizes and budgets reach a whole new audience. With a flat rate of $100 to open a Connexity pay-per-click account, even the smallest retailer can join the network of more than 175 million listings that reach 30 million shoppers. Pay only for the clicks that you get.